Coming Soon: The Allegheny Wine Mixer - Wylie Holdings L.P. 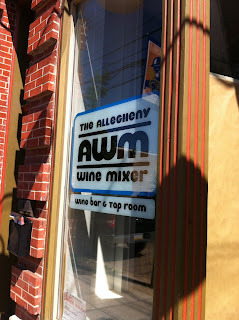 Adding to the diverse mix in Upper Lawrenceville is The Allegheny Wine Mixer, slated to open in mid-July. This new hangout will focus on international wines from places like Spain, Italy and South America and craft beers both local and international. Although AWM doesn’t have a kitchen, they will be partnering with other Lawrenceville business to bring you just the right mix of snacks to pair with your wine or beer. They will be serving delicious charcuterie from Cure, cheeses from Wild Purveyors and bread from La Gourmandine. Owner Jamie Patten is excited to bring a relaxed wine bar to the neighborhood, and sees AWM as “a place for regulars to hang out in a jeans and t-shirt environment while enjoying high quality products at everyday prices.” The intimate setting will be a perfect place to unwind after work or on the weekends. Hours will be Wednesday – Sunday 5pm-12:30am, and Jamie says they may extend their hours based on customer feedback in the initial months. Jamie and assistant manager Lisa Walter both bring a ton of experience and knowledge to the table (or wine bar). Jamie is a Court of Masters Certified Sommelier with more than 10 years experience in wine sales and food service – you may know her from Toast or the Silk Elephant . And over the past 10 years, Lisa has worked her way from bartender at a local restaurant, up to the management level at Pittsburgh Golf Club. With her experience and renowned people skills, Lisa will be a great asset to AWM. Of course, being in a Wylie Holdings property, The Allegheny Wine Mixer is going to have a unique interior. Jamie has been working on the build out of the space since April – it will include a bar designed by furniture designer Joe Kelly and a granite bar top from Antique Granite, both located on Butler Street. 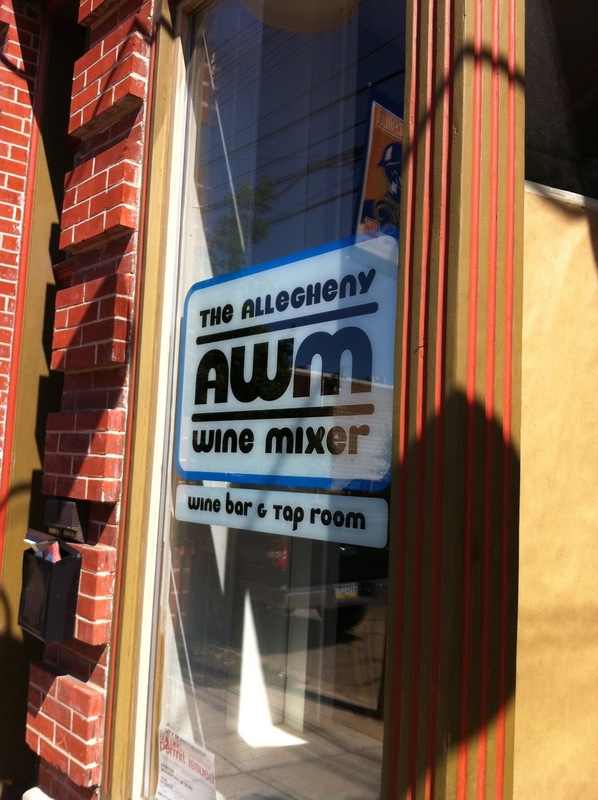 Stay tuned to our Facebook page for details about The Allegheny Wine Mixer’s official grand opening in July. If you’re planning a private event for the summer, consider booking it at AWM now, we’re sure this space will fill up quickly!